Mr and Mrs Mallard grew tired looking for the perfect spot to raise their family. Stopping off for a rest in the city, they were delighted to find that the Boston Public Garden had everything they wanted. Lots of peanuts to be had from people boating on the pond, no frightening predators, and the help of a local police officer in crossing the street. But though there were no dangerous foxes or turtles in the park, there were still plenty of surprises in store for the Mallards and their newly hatched ducklings! 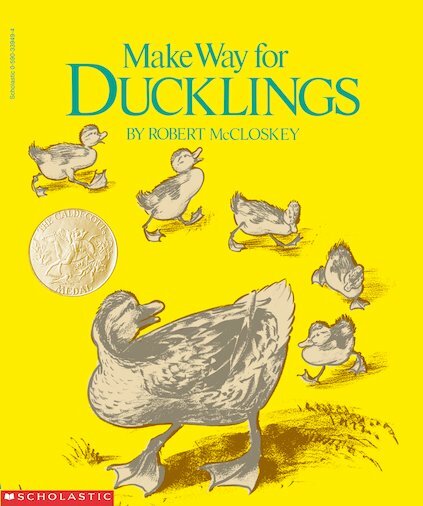 This beloved book, winner of a Caldecott Medal, lets readers explore life in a simpler time and discover lots of facts about mallard ducks. The author’s gentle text and appealing pictures create a fascinating portrait of life in 1940s Boston.